Jim Walker has saved the Fish Pond family website twice in the last year; WordPress and managing its plugins and upgrades can be a difficult business for a musician. I personally found that upgrades to plugins (especially my player) simply caused the site to fall over, generally at the most inconvenient times. I cold-called Jim with an emergency; the Fish Pond site was completely down. Within 2 hours of taking on the job, Jim not only personally had the site up and running again, but also made improvements to speed and display that I hadn’t anticipated. Jim is responsive, a decent guy, and has a genuinely great service for those of us hosting websites. I should add that this is the second time Jim’s helped me out in the last 10 months, and both times proved he is trustworthy and as good as his word. I moved the Fish Pond to his hosting service which is very reasonably priced, and took advantage of the hackguard.com service which, at about 30 cents per day actively stops this bad stuff from happening. 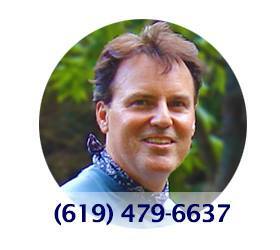 You can call them at +1 (619) 479-6637 or visit www.hackrepair.com. You’ll also find them here on Facebook.